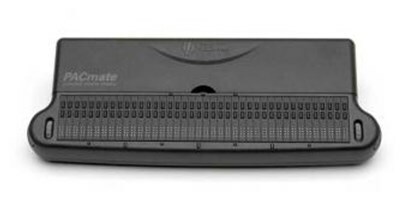 BrailleMate is a mobile Braille monitor produced in two models (with 20 and 40 symbols).It was projected first as a part of Pac Mate notepad but is also works as an independent Braille device. With a computer it is connected through USB port and with PAC Mate by putting into inner dock. 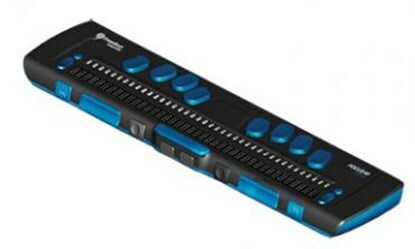 Both models having navigation rings, double row of minibuttons, one to calling cursor and the other one to carrying out functions defined by a user have variable Braille hardness. 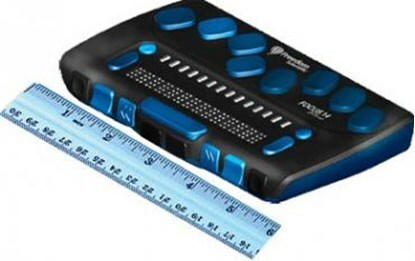 Model with 20 symbols is the smallest Braille monitor which is excellent for travelling and lectures. 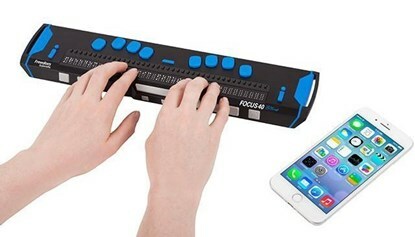 Despite the fact of implementing in the version with 40 symbols of the newest technology: regulating of Braille hardness, double row of minibuttons, navigation rings it is definitely the cheapest from the hi-tech models with 20 and 40 symbols offered on the market. Ten światowej klasy monitor brajlowski zapewnia dostęp do informacji z komputera. Wygodna łączność Bluetooth umożliwia płynną pracę ze smartfonami i tabletami z systemami Windows, Mac, iOS (iPhone, iPad) oraz Android. Klawiatura brajlowska o ergonomicznym układzie gwarantuje wygodną i efektywną pracę. The most efficient and ergonomic module working In Windows environment. 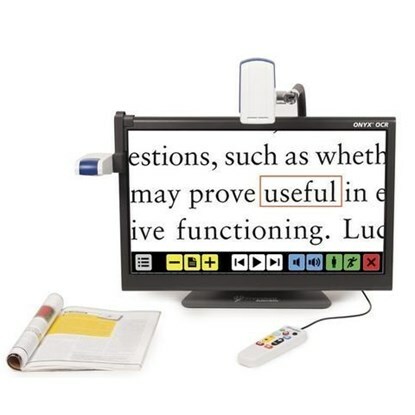 Magic is a programme ideal for computer users with a low vision and for people who spent a lot of time In front of the computer. 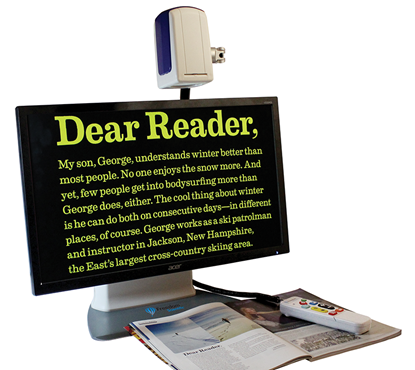 Magic enables to magnify a screen even 16 times. Magic Standard is compatible with Windows XP Home edition. With Windows XP Pro cooperates Magic Professional. You can buy Magic with two actualisations (SMA) or without them, with authorization through the Internet ILM (by design) or with an authorization on hardware key USB (dongle). 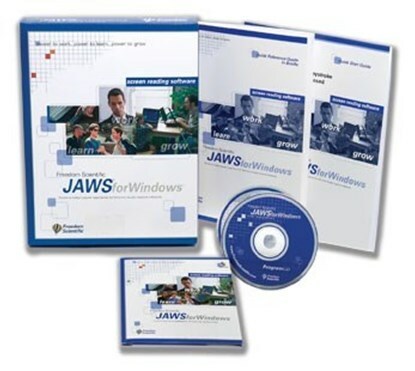 Magic does not operate on Windows operational systems in 64 bit versions. €2238 | ONYX Deskset HD 20" + walizka €2426 | ONYX Deskset HD 22" + walizka €2534 | ONYX Deskset HD 24"